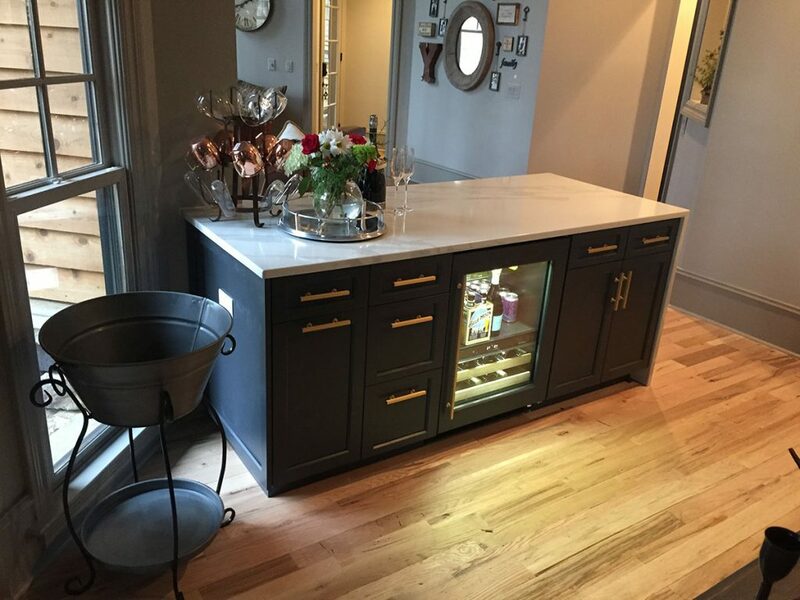 Here is a bar cabinet that creates an entertaining space for the family. The waterfall-style island, where the beautiful countertop cascades down one side, makes an elegant room divider and an efficient serving station. 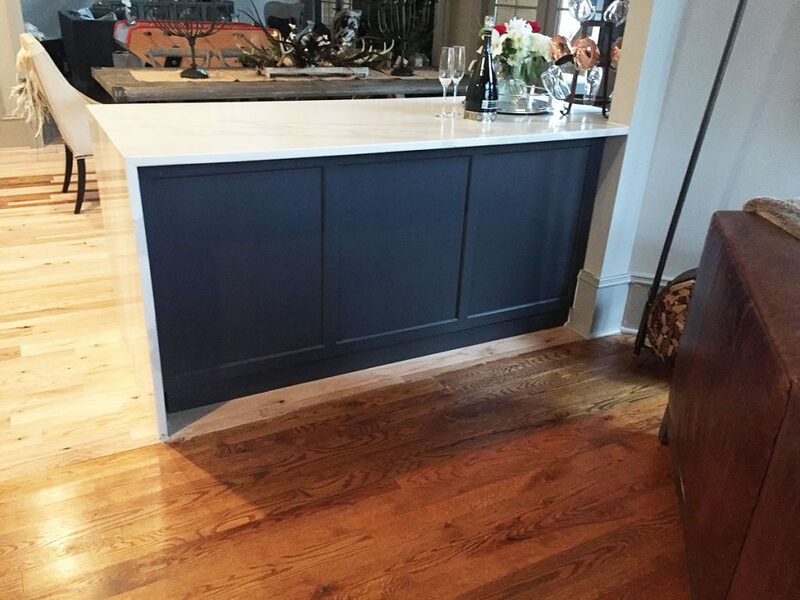 This cabinet, built by Capps Custom Woodworks, is painted a deep slate green with gold handles, accenting the cascading marble top. 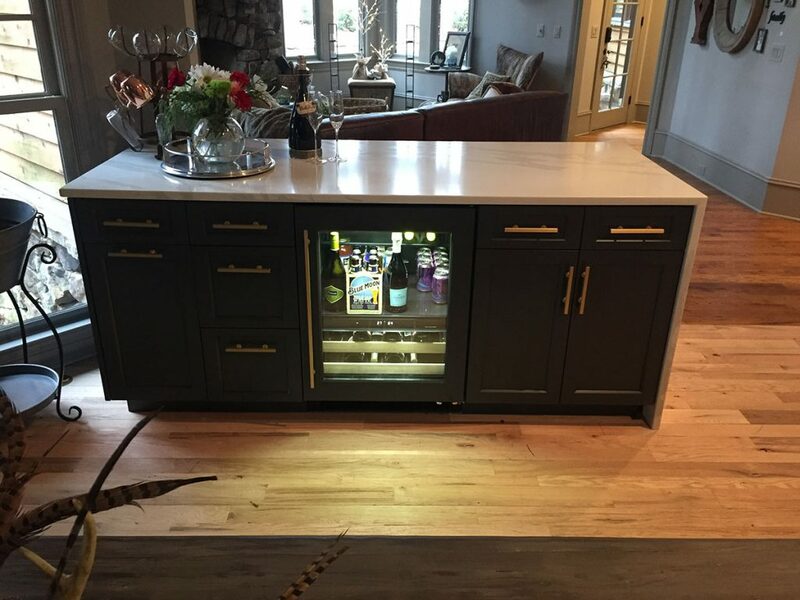 The waterfall island bar cabinet is a serving station between three rooms. This side of the island shows the sleek finish and the cascading marble side. The construction provides drawers for storage, and a convenient pull-out trash or recycling compartment. The glasses are organized in drawers made specially for them, next to the refrigerator/wine cooler built into the bar. 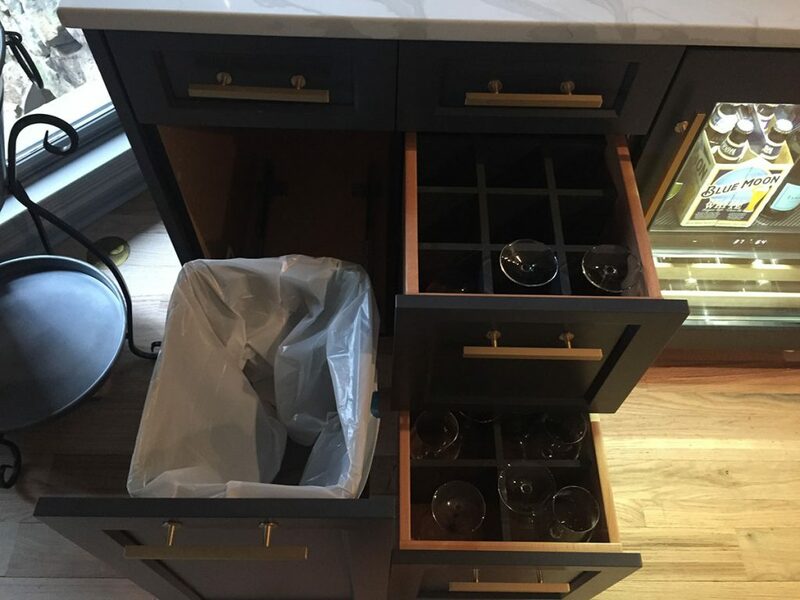 Cabinet drawers hold glasses in individual nooks, ready for serving. After spending a day with kids at a local lake, this island bar makes me think of their most repeated words of the day. The kids found clay deposits mixed in the sandy lake bottom, and pulled it up to work it into shapes. When they found a particularly workable clay, they would shout, “This is the good stuff!” Every ten minutes or so they would find a different spot and call out, “This is the good stuff!” Their exclamations were a perfect description of the time: happy people on a beautiful day, a steady breeze blowing off the lake, and lots of shady trees to relax underneath.